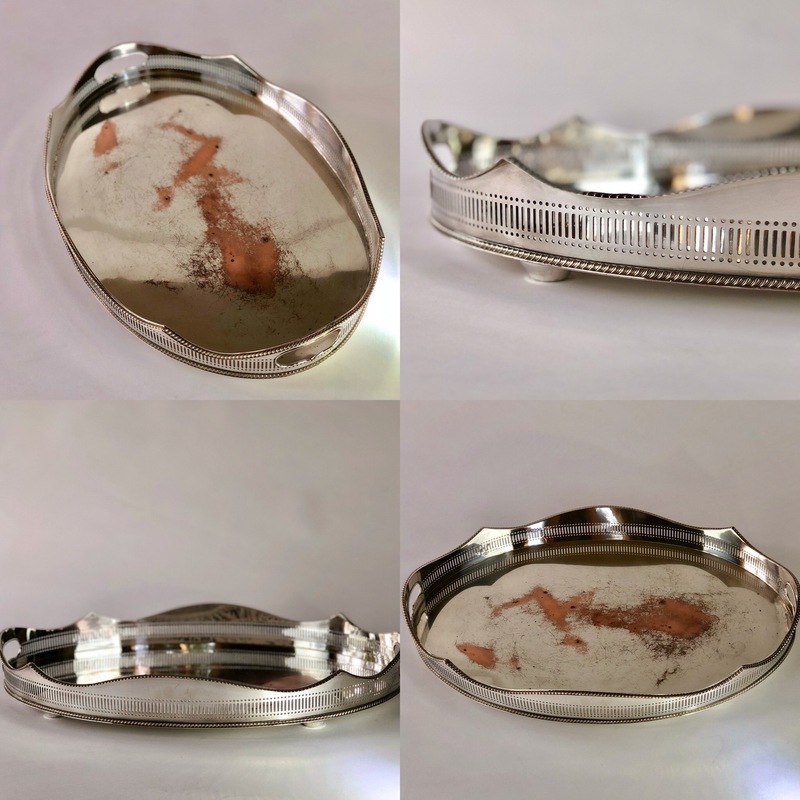 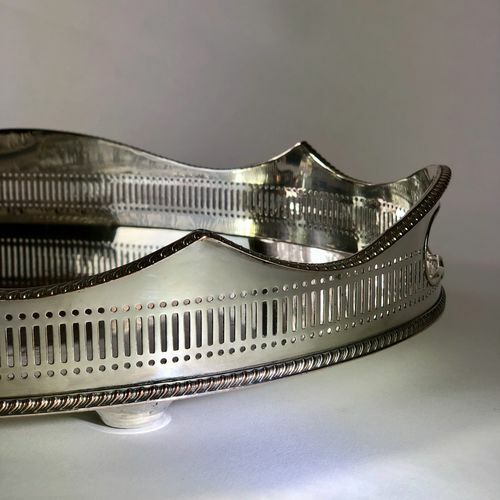 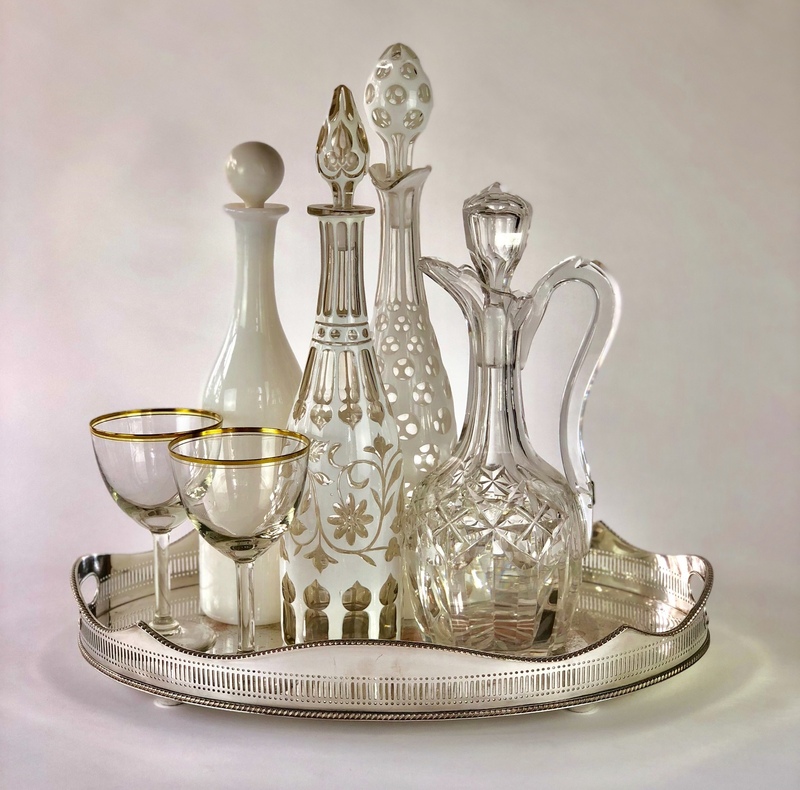 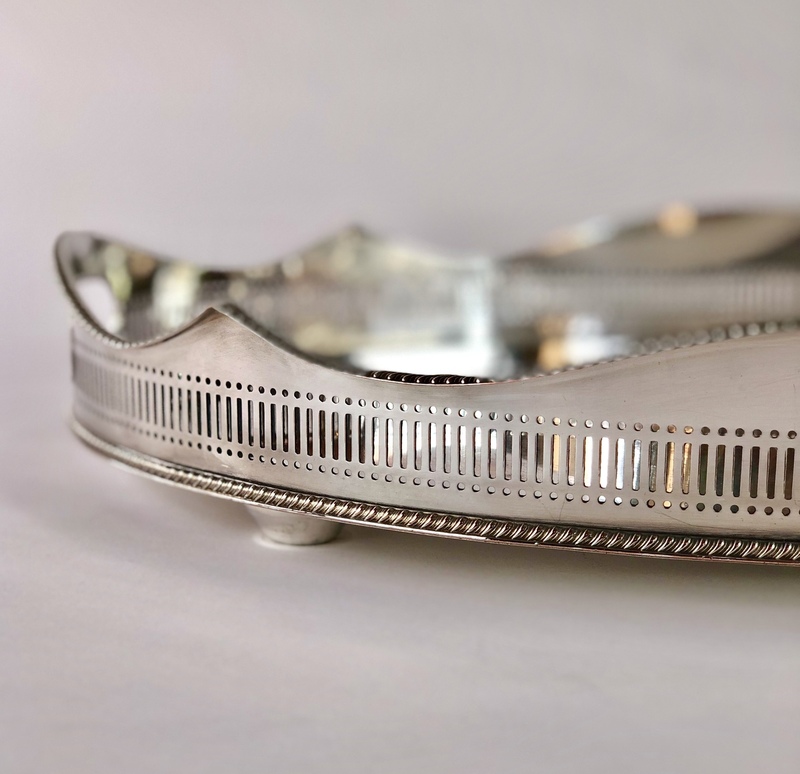 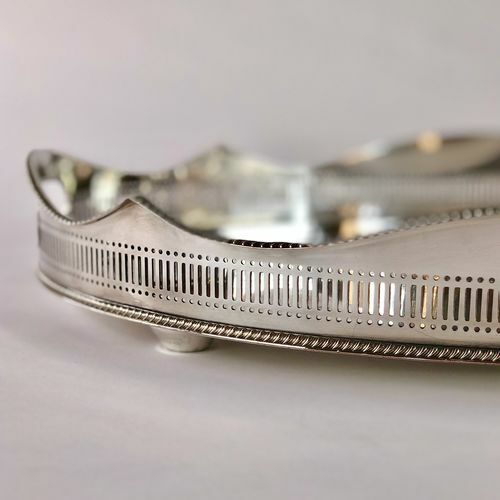 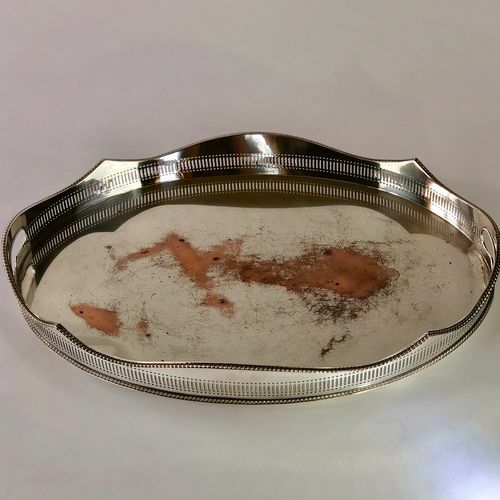 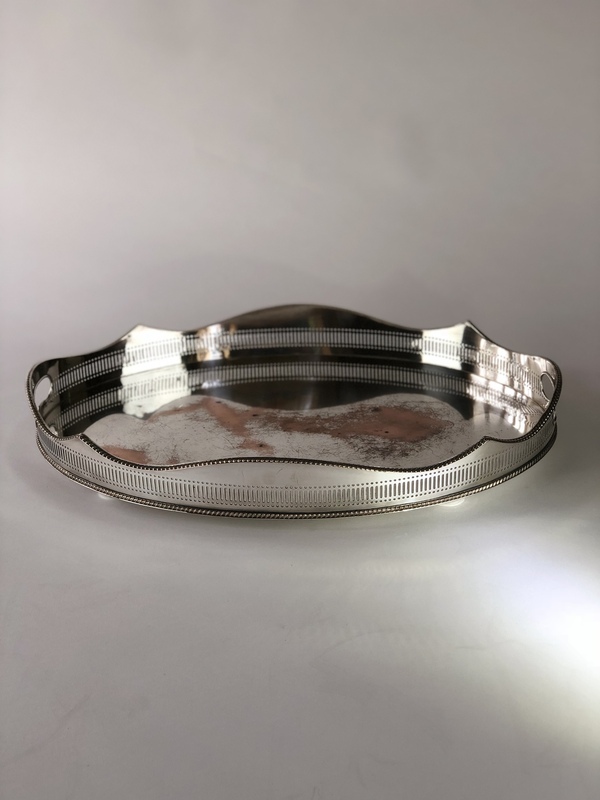 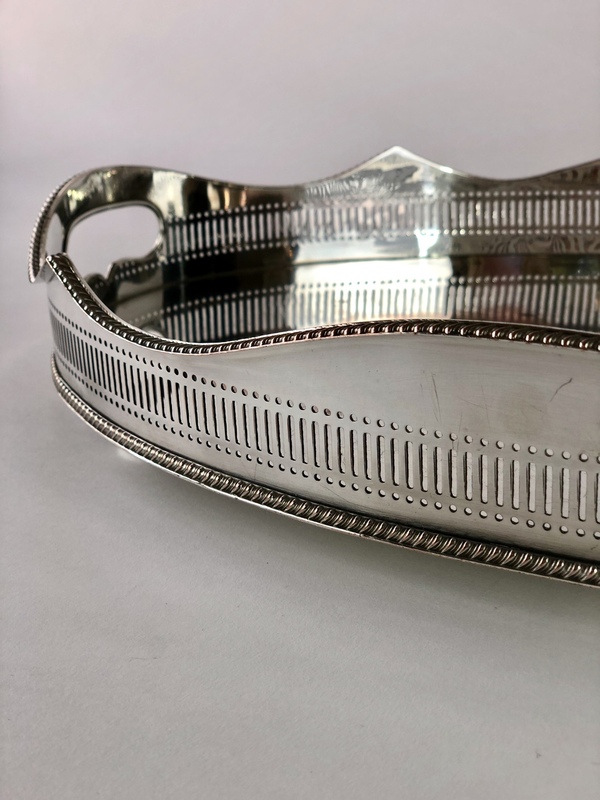 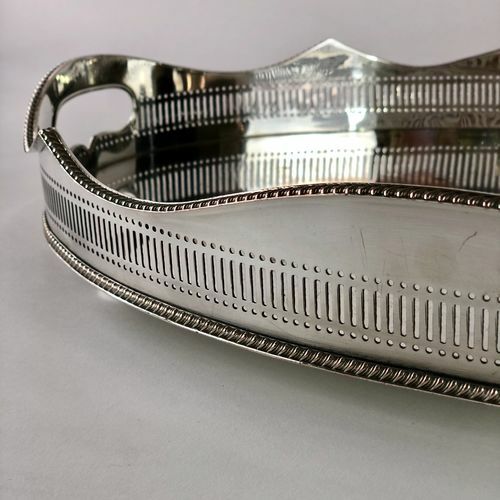 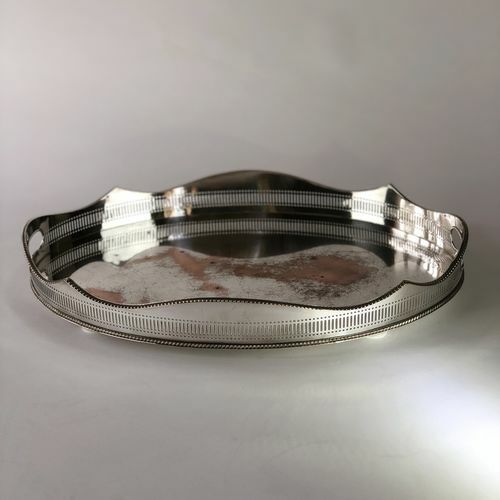 A wonderful 19th Century old Sheffield silver plated oval galleried drinks tray on four bun feet. 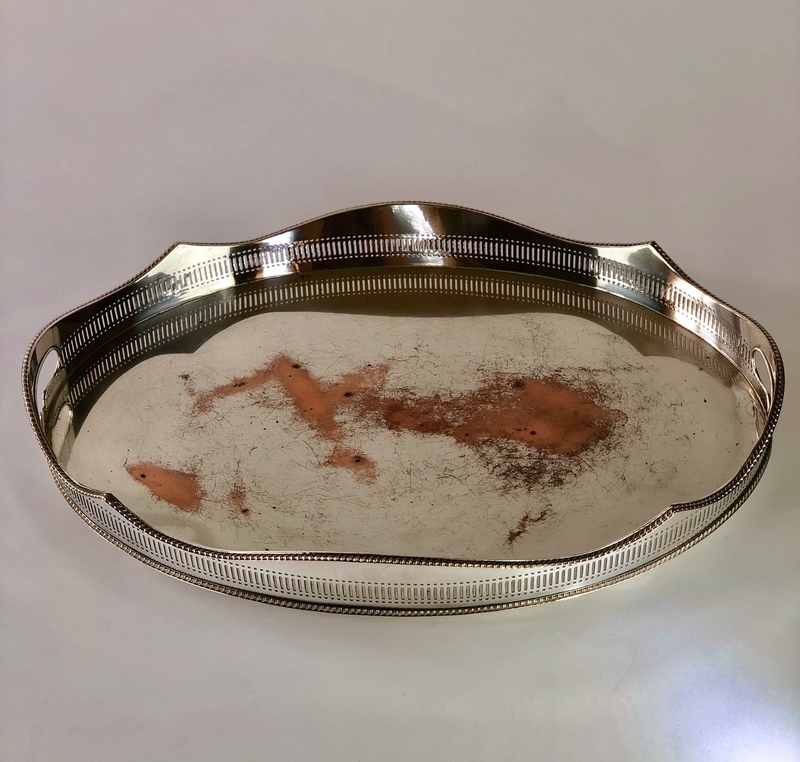 This beauty has the original copper base bleeding through the silver to create a stunning patina. The pierced gallery makes it perfect for storing drinks on a side table.